On April 15, 1974, after the funeral service of my grandfather Rabbi Israel Porath ztz"l, I rode in a cortege with many family members and friends to the Cleveland airport, for his body was going to be flown to Israel for burial. 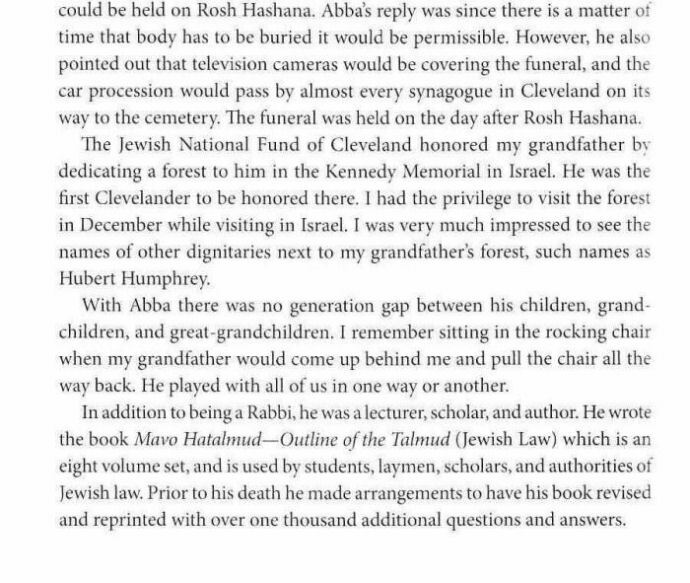 The following day he was buried in Jerusalem, where he was born, next to the grave of my grandmother who had died in Cleveland only four months before. On the long drive from Cleveland Heights to the airport and back I thought a great deal about my grandfather. I was only 16 years old at the time and soon I had an opportunity to develop my reflections into an essay for one of my courses in Cleveland Heights High School. Some time later, when the late Judah Rubinstein, the historian of the Jewish Federation of Cleveland, was working with my father to gather materials for the Jewish Archives at the Western Reserve Historical Society, he saw my essay and asked for a copy. I am glad to see my essay about my grandfather, who is remembered by so many, included on these pages. 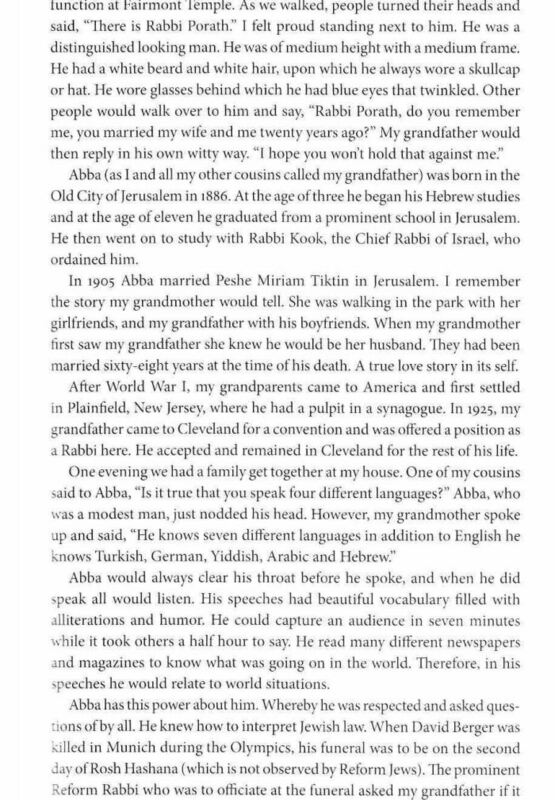 Judah Rubinstein, historian of the Jewish Federation of Cleveland, selected Laura Steinberg's remembrance of her grandfather for inclusion in a collection of essays. 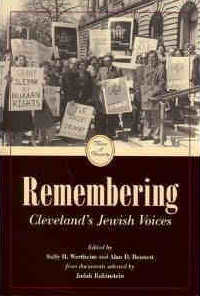 memoirs and speeches published in 2011 by the Kent State University Press, with the support of Federation, as "Remembering Cleveland's Jewish Voices". See pages 202-204 for her essay.